Home » Pill Bugs: Good Bugs Or Bad? They Might Be Both! 2.3 What Do Pill Bugs Eat? 3 Are Pill Bugs Bad Neighbors? 5.1 Q: Do pill bugs bite? Are pill bugs dangerous to humans? 5.2 Q: What eats pill bugs? Roly poly, doodle bugs, or pill bugs… whatever you call them, these are popular little garden dwellers. Children play with them, fascinated by their ability to roll up into a little ball. Frogs and lizards find them to be tasty treats. And we find them in every part of the United States as well as widespread abroad. But are pillbugs in garden settings a problem? More and more often, people ask if pill bugs in the garden are friend or foe. Let’s examine that in depth! I’ll also help you learn how to prevent them from becoming a real problem dweller. And we’ll discuss how they can be a beneficial addition to certain portions of your yard. Common Remedies Food grade diatomaceous earth, neem oil, spinosad sprays or baits are available. Protecting seedlings with toilet paper tubes keeps them at bay. Baiting and moving them with decayed plant material can be beneficial, especially if moving to a compost pile. Maintain clean debris-free garden spaces. 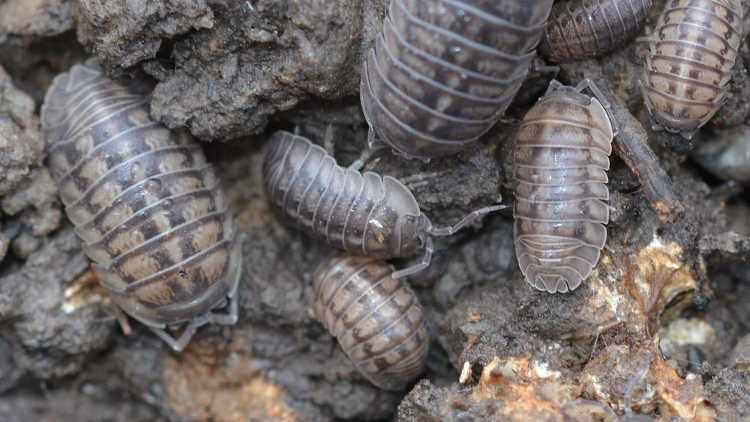 First, let’s go over what pill bugs are, and what they’re not. 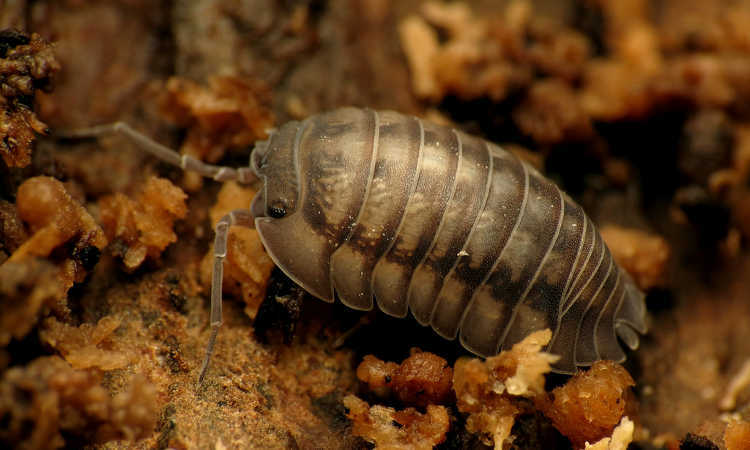 The common pillbug or pill bug, Armadillidium vulgare, is a type of woodlice. Part of the Armadillidiidae family of woodlice, they’re a type of bug that rolls up into a ball. This protects their tender underbelly from harm. 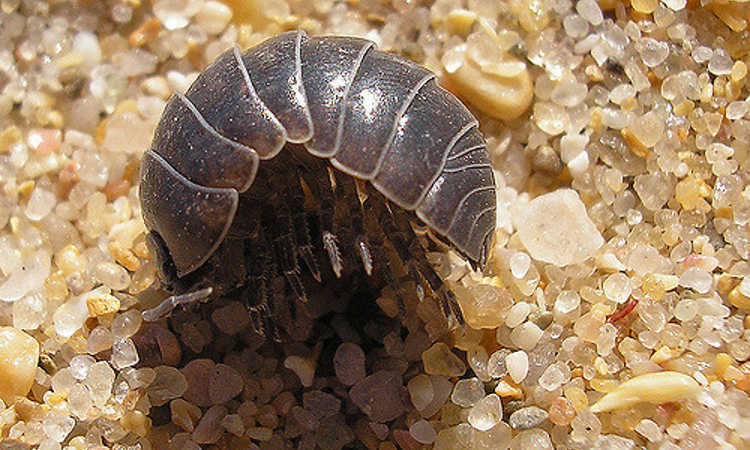 Pill bugs are often confused with the sow bug, Oniscus asellus. Sow bugs are Oniscidae, or part of the wood louse family. 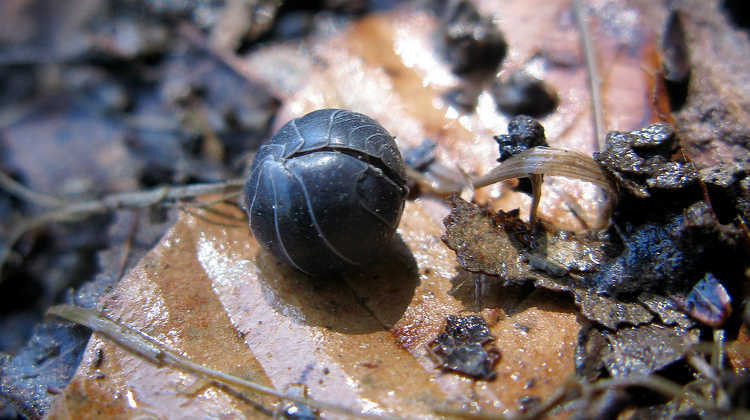 Unlike pill bugs, they can’t completely roll up, forming a C-shape instead. Both pill bugs and sow bugs are related, and are both part of the Crustacea, or crustacean family. In fact, they’re not an insect at all. They’re related to lobsters, crabs, or shrimp! Interestingly enough, these crustaceans are the only ones which live outside of water. They do require large amounts of moisture to survive. This is why they tend towards sheltered, damp locations to live. 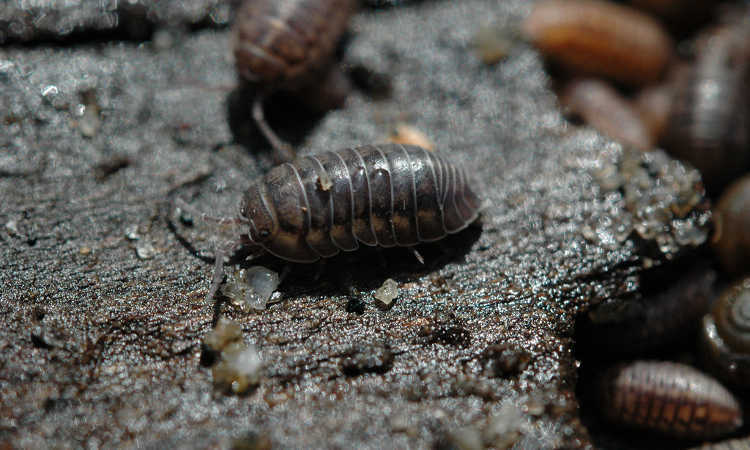 There’s good reason why both pill bugs and sow bugs are so often confused. Both share the same basic habitat and food source, and are found in the same locations worldwide. Both are also controlled with the same methods. An adult female pill bug will lay several eggs. Unlike most insects, these eggs remain with her, carefully hidden on her underside. 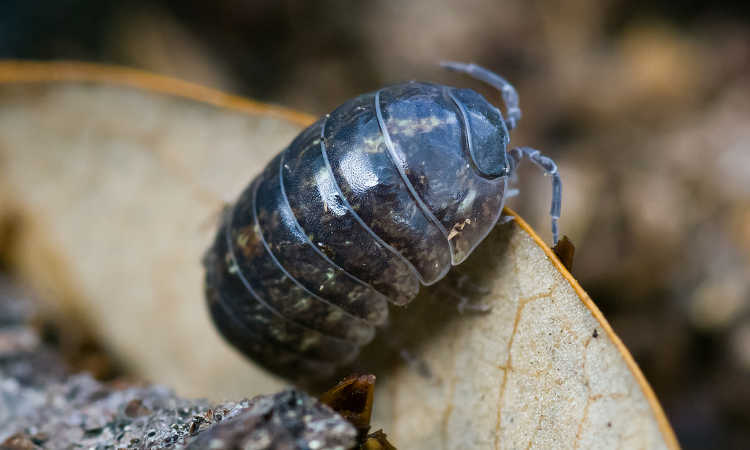 Female pill bugs have a pouch called a marsupium which keeps the eggs protected. For four to six weeks, she will carry her eggs with her in this brood pouch. When they hatch, they look identical to their parent, but in miniature form. After hatching, baby pill bugs remain in their parent’s pouch for another couple months. The hard exoskeleton that rolls up to protect a pill bug must be shed five to six times as it grows. This happens in two stages. First, the roly poly will shed the back half of its shell. Once that has reformed, it will shed the front half. It takes about a year for pill bugs to mature to full adulthood. They’ll leave their mother’s pouch at about 4 months old. The parent can then lay a new batch of eggs, producing up to three generations per year. The average lifespan for these tiny crustaceans is three years. They don’t breed as rapidly as other garden dwellers do, but they can have many young in that time! In the dark and sheltered spots of your garden, you’ll often find pill bugs. They prefer locations which are damp, dark, and filled with decomposing organic material. In addition, they prefer to be sheltered from predators who want to feed on them. Often, they take shelter beneath rotting logs or rocks. Moist cracks and crevices where plant debris builds up are also suitable residences. Pill bugs prefer to remain close to the soil, and in fact can burrow through it if needed. This means they may appear even in shallow raised beds. It’s far more common to find them at ground level, though. If you have not cleared the debris in your garden, it may become a pill bug habitat. It’s food, it’s shelter, and it’s perfect for the pill bug! They’re also common in compost piles or other locations where debris accumulates. On occasion, pill bugs may take shelter inside your house. This only happens if you have a damp location, and may signal other problems with your home. Water leaks or rotten wood can be much worse than just a few roly-poly visitors! Pill bugs are part of nature’s garbage disposal system. Consuming mostly decaying plant matter, they’re wonderful in a compost pile. In a perfect world, the pill bugs and sow bugs of the world would only touch dead plant parts. Alas, our world is far from perfect. 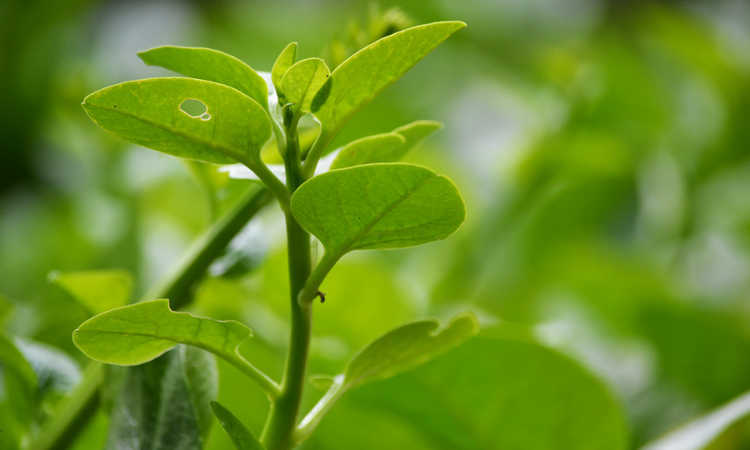 If no other food is available, live plants become the next target. While a roly poly eating strawberries seems a bit odd, it can happen. Ground-level fruit may be on the pillbug diet if there’s many around. So too may the tender, young stems of seedling plants. Are Pill Bugs Bad Neighbors? In the quantities which usually appear in the average garden, pill bugs aren’t a problem. In fact, they’re hardly noticed at all. There’s usually an abundance of decaying material for them to feast upon. It’s when the pillbug population skyrockets that it can become a major issue. When you have a large population, the fallen plant debris can be consumed too fast. And suddenly, your plants are next in line. This doesn’t mean that the pill bug is a bad garden dweller. In fact, large populations are usually uncommon to discover. 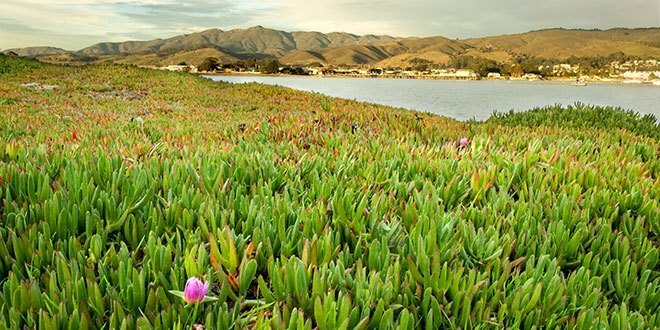 And if provided alternatives, they’ll often switch right over, ignoring live plants. These little roly-polies can also be great for your garden. If you’re a compost fan, you’ll want a bunch of them in your pile. They can break down plant parts rapidly, chewing them into smaller bits. This speeds the compost process along. So are they bad neighbors? Not on purpose. But they are hungry, and they do need food. If you supply alternative sources, they’ll eat those instead. If you don’t, your plants may be at risk. You may not wish to completely remove the pill bug habitats in your yard. Let’s go over how to control pill bugs in the garden. There are a variety of organic control methods you can use. I recommend applying these only around the plants that you wish to protect. Food grade diatomaceous earth is one of the simplest options. This fine powder made of the shells of diatoms will shred up the tender underside of the pill bugs. It’s harmless to plants or humans. Sprinkle this around the base of plants to make a border they won’t cross. Neem oil can work well as a preventative too. Just like other pests, pill bugs don’t like the taste of the neem, and will become sickened by it. It is a mild poison for the roly polies, but safe for us! 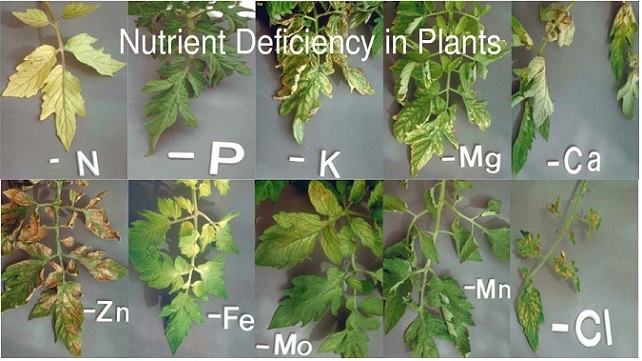 If there’s huge populations around your plants, there are more drastic steps to take. Spinosad sprays such as Monterey Garden Insect Spray can be used to kill off excess pill bugs. Finally, snail and slug baits are often used to draw the attention away from your plants. Garden Safe Slug & Snail Bait or Sluggo Plus are good measures for reducing numbers. While the methods described above work, there are other options you can use to reduce the risk to plants. Placing toilet paper tubes around seedlings prevents pill bugs from getting to them. Old plastic cups with the bottom removed will work similarly, but don’t break down like the tubes will. You can bait and move pill bugs to another location. Place a small pile of waste in your garden for a couple days. Decomposing leaves, corn cobs, or even a half of a cantaloupe will draw the pill bugs to them. After a couple days, pick up the waste and collect the bugs to move elsewhere. If you’ve got melons or other fruiting plants growing, provide support to keep the fruit off the soil. Melons, for example, can have a sling or hammock made out of old T-shirt material to protect the fruit. Strawberries can be planted in narrow troughs so the berries hang over the sides. 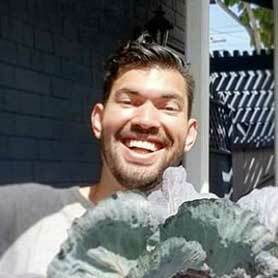 Potted plants under pill bug attack can be protected, too. Hanging your potted plants or putting them onto a concrete surface will prevent bugs. As the pillbug needs moisture to survive on its way to your plant, this basically puts a desert in their way! There’s no surefire way to prevent pill bugs in the garden. But they can be discouraged from living in your garden beds. Keep your beds well maintained, cleaning up plant debris. Don’t provide adjoining habitats for pill bugs next to your garden space. Instead, segregate them to a composting portion of your yard. Pill bugs are excellent compost bugs and extremely beneficial there! If you’re making leaf mold, or have a regular pile or bin set up, you can entice the bugs to that. Don’t place them inside compost tumblers, as they won’t survive well in them. You can also allow them to live in spaces where their harm is negligible. 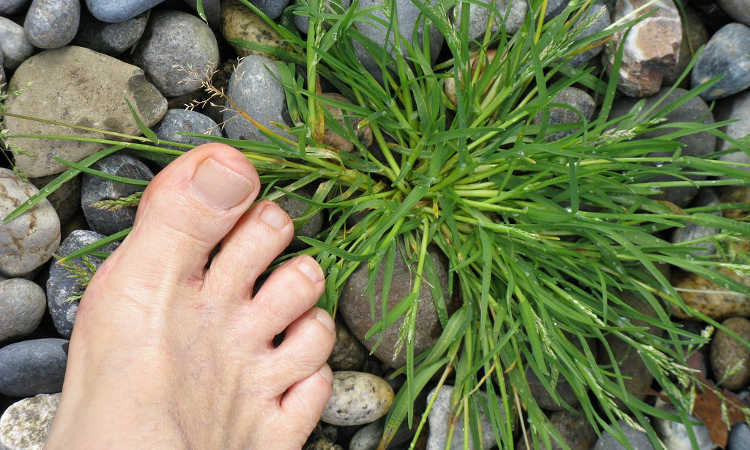 For instance, pill bugs hidden along the edges of your lawn may nibble the grass, but you’ll never notice. Under old trees which don’t have plantings is another great location. Q: Do pill bugs bite? Are pill bugs dangerous to humans? A: In short, no and no. 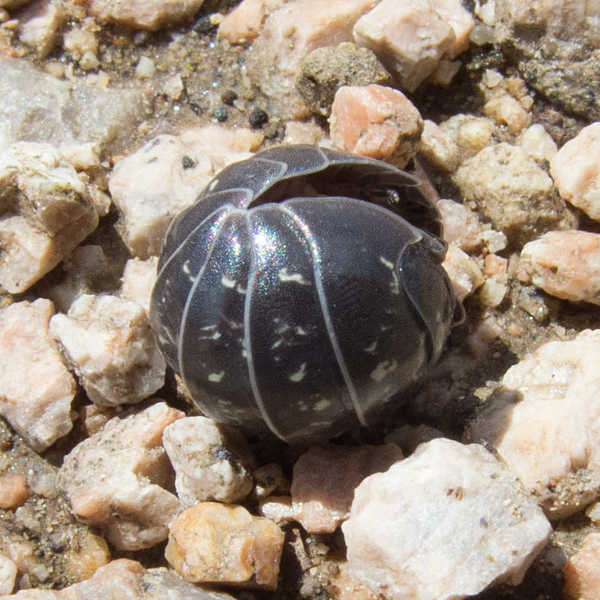 Pill bugs don’t bite, nor do they sting or transmit diseases. They don’t infest wood in the same way termites do (although they may take up residence in rotten, damp wood), and they don’t attack clothing or food like insects might. Many kids actually have pet pill bugs or use them for science fair projects because they’re so safe! They’re fun to play with, especially when they roll up into those tight, protective balls. Q: What eats pill bugs? A: There’s one particular type of spider that’s known as the pill bug killer or sow bug killer. They’re found close to these crustaceans wherever they naturally occur in nature, and that’s their primary target. Other than spiders, a wide array of other creatures will eat pill bugs. Centipedes, frogs and toads, ants, and birds might snack on these garden morsels. Lizards also find them tasty. In areas where there’s lots of competition for food, they may even prey on each other! As you can see, pill bugs aren’t necessarily as dangerous as other types of garden inhabitants. With good control, they’ll become another beneficial addition to your garden. 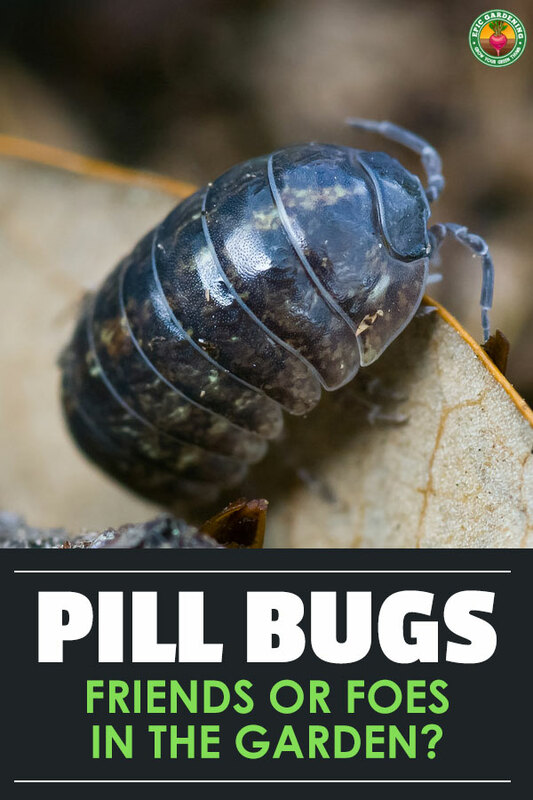 Do you have pill bugs or sow bugs in your yard? Have you ever had problems with them? Tell your tales in the comments below! My rule of thumb is to remove any pests once I see them in my garden. Unless there is precedence to keep them then I will seek of the safest way to get rid of them. Using natural predators like spiders and lizards is a fantastic idea. Thank you! Ah, but that’s the tricky thing – I adore having pill bugs in my compost pile as they’re wonderful composting insects. There’s definitely precedence for keeping some around in my book, as they’re just as effective as redworms at breaking down plant matter! 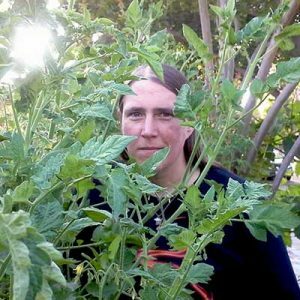 So while it’s possible that they can reach large populations and become pests on plants, most of the time moving them to a “safe” area of the yard like the compost pile is extremely effective. And if they’ve got their preferred food in the compost pile, there’s no need to go back.